The U.S. private-equity firm’s stake in Diamond Bank is worth only a fraction of what it paid after the ailing Lagos-based firm agreed to sell itself to Access Bank. A likely rights issue may worsen the financial pain. Carlyle’s consolation is a slice of Nigeria’s biggest lender. 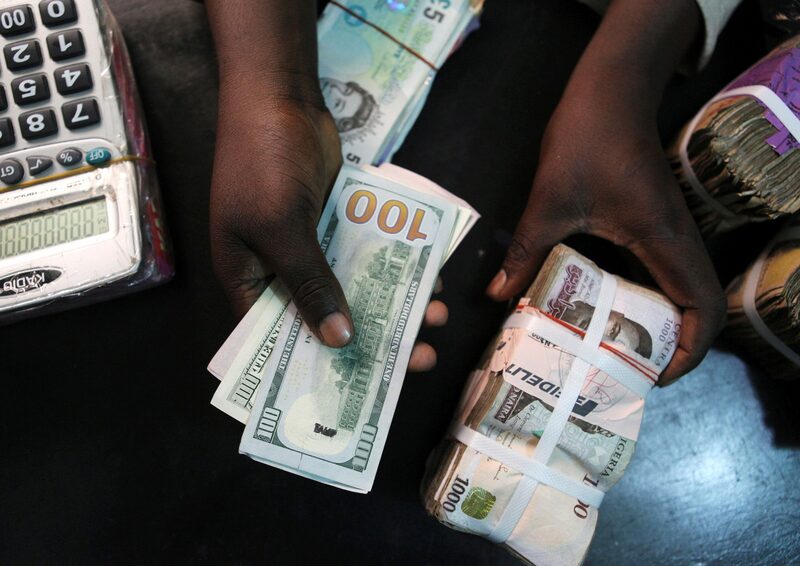 A trader changes dollars for naira at a currency exchange store in Lagos, Nigeria, February 12, 2015. Nigeria's Access Bank has agreed to buy mid-tier rival Diamond Bank, the lenders said on Dec. 17, in a deal both companies said would create Africa's largest bank by customer numbers. As part of the deal, Diamond Bank said its shareholders would receive 3.13 naira per share, comprising 1 naira per share in cash and the allotment of two new Access Bank ordinary shares for every seven Diamond Bank ordinary shares, altogether a 260 percent premium to the closing market price on Dec. 13, according to Diamond Bank. Diamond Bank also said its chief executive would step down after the merger. The takeover follows weeks of speculation about Diamond Bank in the wake of the unexpected resignations of its chairman and three other directors in October. U.S. private equity firm Carlyle owns a 17.75 percent stake in Diamond Bank which it bought for $147 million in 2014 when the bank was trading at 0.6 times book value. Diamond is worth roughly 0.15 times book value now.